Regular readers to this Blog, will know that in our household, using up left-over food is a common day occurrence. As a consequence, we rarely throw food away and any products beyond their sell-by-date are either used to make up our left-over meals or frozen to be eaten later. Sadly, this is not the case in the rest of the UK or in the USA. 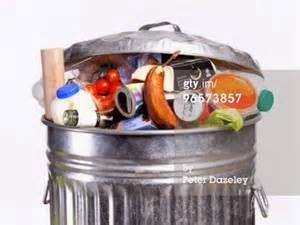 British homeowners throw away 4.2 million tons of food and drink every year, worth £12.5. That amounts to a mind-boggling £700 per year or £60 per week. Furthermore, 40% of food produced in the US ends up in the trash - a staggering waste of $170 billion worth of fruit, vegetables and meat annually. All of which could be eaten if UK and US families planned their consumption better. 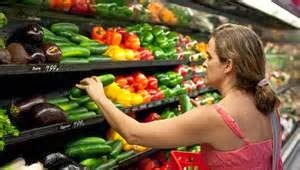 However, one US supermarket chief I see is fighting back with a blueprint for a radical change to the way we shop and eat. A new grocery store chain, The Daily Table, is poised to open in the US selling food that has passed its sell-by date. 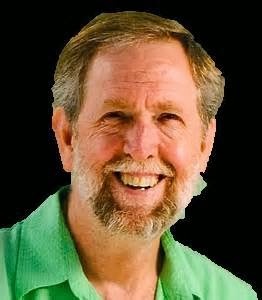 The aim of Doug Rauch (below), former head of supermarket chain Trader Joe's, is set to bring healthy food to inner cities, where fast food outlets are often the only option. I have found that it is often cheaper to eat out at fast food restaurants in the US than to shop for fresh meat, fruit and vegetables at the supermarket. So selling healthy, but out of date food at lower than junk food prices can only educate shoppers that 'expired' food can still be good, healthy and tasty - and at bargain prices. The Daily Table will be the first supermarket chain attempting to sell this 'unloved' food to the American public. Rauch is quoted in the UK press as saying, ''People worry about E.coli and salmonella but virtually all of the known food-related deaths in the US have been caused by food that was 'in code', not past its sell-by-date.'' New York's Natural Resources Defence Council found that most sell-by dates are poorly understood and the waste of food by consumers poses a burden to the food system and represents a missed opportunity to feed millions of food-insecure households. 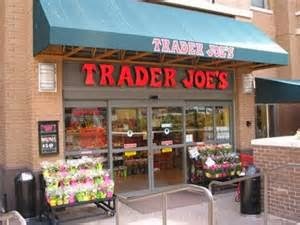 The first Daily Table store will open in May this year in Dorchester, Massachusetts and will be followed by other outlets in impoverished urban areas where the need for healthy and cheap food is greatest. They will try to use the 40% of food that is wasted. 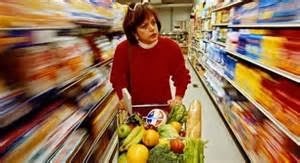 Average families on social security in the US have only $3 to spend on dinner and when they can buy 3,700 calories of fast food or 300 calories of fruit and vegetables, they are driven to buying unhealthy options. The Daily Table will be the first chain trying to sell expired food to the public as an alternative to fast-food diets that can lead to obesity and a plethora of diseases. This is an idea whose time has come and although my family goes out of its way to consume all the food we purchase, I can see 'Daily Table' being replicated by a 'WasteLess Table' here in the UK, sooner rather than later!